In this topic, we will discuss about why you should getting started in property investment while you’re still young. You must wondering that what determines whether you are still “young”? Well, we are aiming at those fresh graduates and the age below 30. Nowadays, most of the young people out there are looking for the job that can satisfied their fancy demands such as brand new car, branded handbag, branded costume and other things that can make themselves stand out from others people. However, that fancy demands often make you even poorer as you don’t have any money left for savings. 1. A smarter way to spend your money. ➻ Rent payments go straight into the pockets of the landlord, and at the end of the day, you’ll have nothing to show for it, as the property doesn’t belong to you. ➻ Mortgage payments are an investment in the future. As the remaining balance on a mortgage is reduced, home equity increases, padding your own retirement account – and not your landlord’s. Better to spend your money on your own home than on unnecessary, short-term expenses that won’t provide value later. ➻ The larger your investment capital is, so are your risks and return of investments. However, risk in real estate is given a sense of reassurance due to the ever appreciating value of property that Malaysia has seen thus far. Simply buying a home in the right district can mean earning a profit of even double the purchase price in 5-10 years (or less, if the area is highly profitable). ➻ Borrowing to buy a place to live is seen by banks as a much safer investment than credit cards, and interest rates are still at rock bottom. It is hard to qualify mortgage debt as a bad financial decision these days. ➻ As millennials contemplate buying homes, they should think about the future. They’ll benefit from having a home as a storehouse for retirement funds, and their homes will likely be paid off by retirement, allowing them to tap into home equity to fund retirement benefits. ➻ Although it is not a primary benefit for millennial homebuyers, there is also a sense of pride that homeownership invokes. You’ll never forget that sense of achievement… and the look of awe on your peers’ face. In property investment field, time is so much important for every property investors. And as a young adult, you’re already took advantage of this. If you are property investor in your 20s, you’ll have at least 30 years to planning your retirement funds. 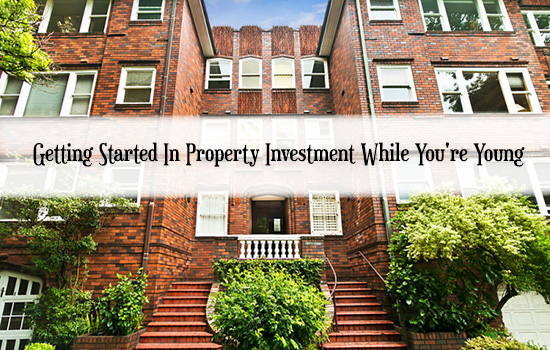 In conclusion, property investment is something that you should start as early as possible.